Does the Golf Ball Go Too Far? 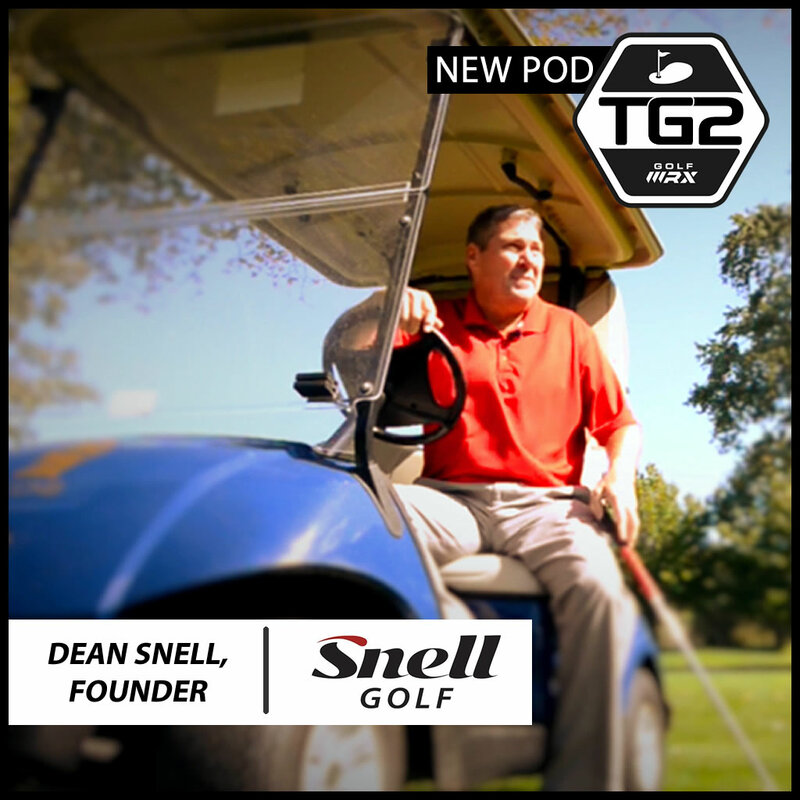 Recently we have heard everyone discussing whether or not PGA Tour players hit the golf ball too far. 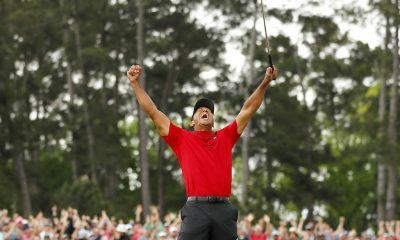 Everyone from Tiger Woods to Brad Faxon, Brandel Chamblee, Mike Davis, and Wally Uihlein have weighed in with their thoughts. I myself have struggled with what side of the fence I should be on, so I wanted to learn more about it before I made a judgement. Because I am a golf nerd, I decided to do a little digging. My first question in all of this is, what is too far? How do we judge that the golf ball or distance has reached a point where it is diminishing the product for our viewing pleasure? 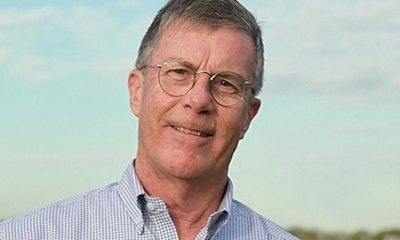 How do we know if technology and distance have effected the integrity of the game? Too far is a statement of relativity. One-hundred years ago, it could have taken you 12 hours to travel 200 miles. Now you can fly Los Angeles to Sydney in that same amount of time. When Harry Vardon was winning championships early in his career, he and every other competitor exclusively used the gutta percha golf ball with his name on it, “The Vardon Flyer.” The gutta percha was invented in 1848 and used until a new ball came into play in the early 1900’s. This new ball was the Haskell Rubber ball invented by Coburn Haskell and Betrum Work. It was the first rubber ball that was a complete game changer. Despite is obvious performance enhancements and distance gained, however, many of the top players were slow to begin to play the new ball. In fact, it took Harry Vardon almost 10 years to make the switch. I can imagine they were having the same conversations back then that we are having today. There are tons of examples of this throughout golf history, and although there have been limitations on technology there has never been a roll back in the golf ball. The ball has always won out. So I ask myself and you why now are we claiming that the ball is going too far? I decided to compare scoring average on the PGA Tour to driving distance and golf course length. Below in the graphs you will see what I found. First, I must say it is very difficult to find accurate data on driving distance and scoring average before 1980. From 1980 to present time, this information has been tracked by the PGA Tour, so I decided to only look at the past 37 years for an example. 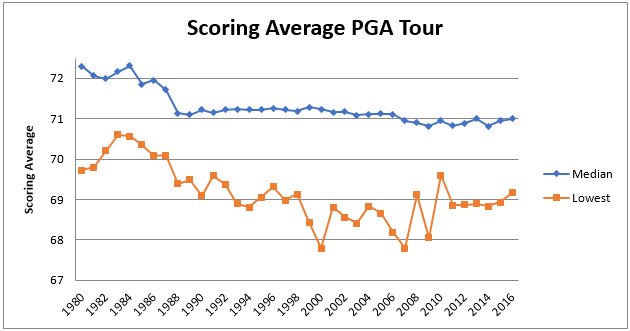 Since 1980, the PGA Tour median scoring average has gone from 72.3 to 70.995 in 2016. That is a difference of 1.305 shots or a change of 1.8 percent over 37 years. The lowest scoring average on the PGA Tour has gone from 69.73 to 69.17. That is a difference of o.56 strokes or an 0.8 percent of change. So yes, scoring average has gotten better. Is this because the golf ball is going farther? 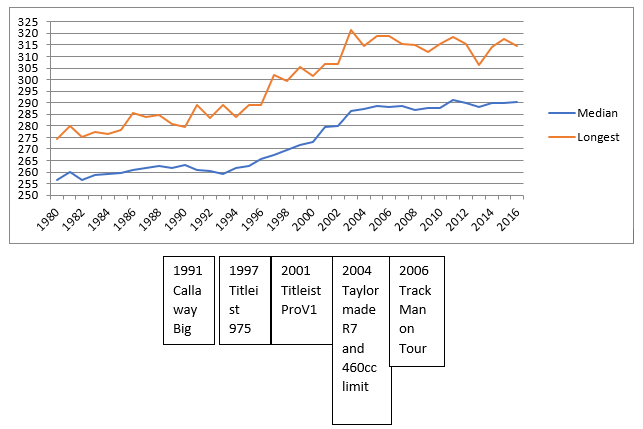 Let’s now look at driving distance on the PGA Tour since 1980 in the chart below. 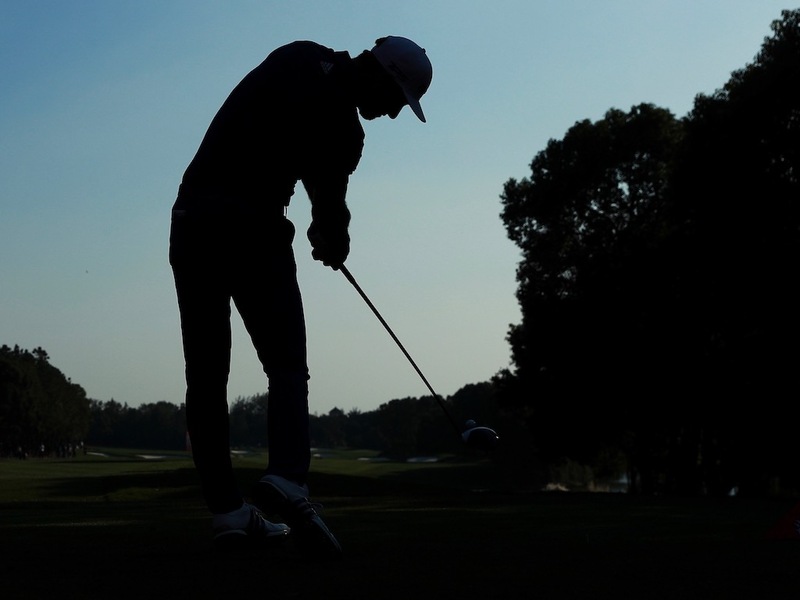 In 1980, the median driving distance on the PGA Tour was 256.7 yards. In 2016, it was 290.1 yards. That is a gain of 33.4 yards over 37 years, or about 1 yard per year. This is a percentage change of 13 percent. The longest hitter in 1980 averaged 274.3 yards. In 2016, the longest hitter averaged 314.5 yards, an improvement of 40.2 yards. That’s a percentage change of 14.6 percent. PGA Tour players in 2016 hit it a lot farther than they did in 1980, yet scoring averages haven’t changed much. Is this because golf course length has kept up with distance gained? Finding course length information since 1980 was difficult. I decided to only look at the majors championships as examples, where data is more plentiful. From here, I made the decision to only use the U.S. Open and PGA Championship. 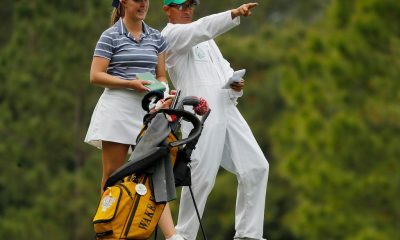 Unlike the Masters, they are played on a different course every year. As for The Open Championship, it’s generally a different kind of golf where distance and strategy can hinge on the elements. I felt as though this was the best representation for all courses on the PGA Tour. In the chart below, you will find the average course length of the U.S. Open and PGA Championship from 1980-2016. As you can see, golf courses have absolutely gotten longer. For this chart, I will compare the shortest average length (1981) to the longest average course length (2015). I am doing this because of the smaller data sample size and I believe this would more correctly illustrate the average of all PGA Tour courses. From 1981 to 2015 the golf course length increased by 791 yards (6807 yards to 7598 yards). That’s an increase of 11.6 percent. 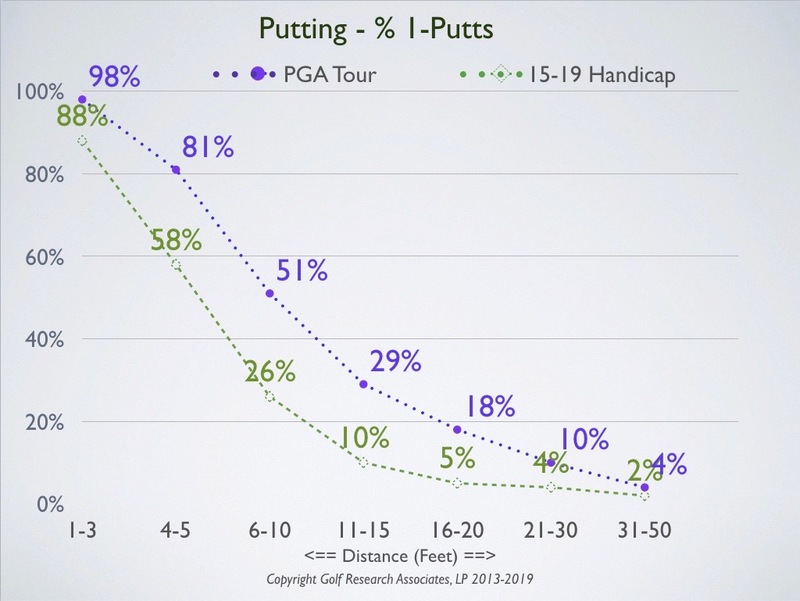 For review, we have seen scoring average decrease by 1.8 percent, driving distance increase by 13 percent and course length increase by 11.6 percent. The difficult part about looking at this much data is always trying to interpret it. How is the data helpful, and what story does it tell? Let’s revisit the driving distance chart one more time with some timeline reference points to paint the picture in a clearer way. 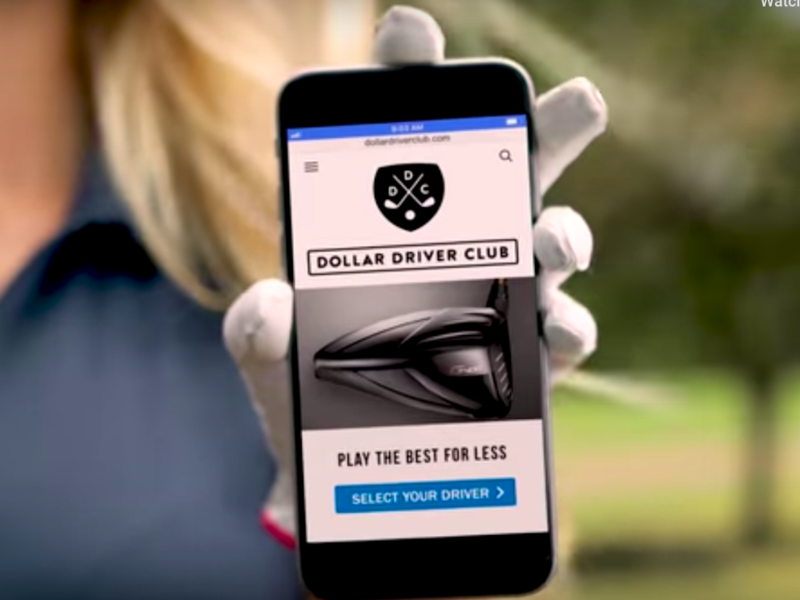 These are some of the biggest technological advances in golf since 1980, and they tell a fantastic story of why we saw certain leaps in distance over a short amount of time. From 1991 to 2000, the decade of the introduction of bigger metal woods from the 190-cubic-centimeter Big Bertha to the 300-cubic-centimeter Titleist 975D, there was median distance increase of 4.7 percent (12.3 yards). Just in the year from 2000–2001, which saw the solid-core Titleist Pro V1 introduced in October of 2000, there was a median distance increase in 2.3 percent (6.3 yards). 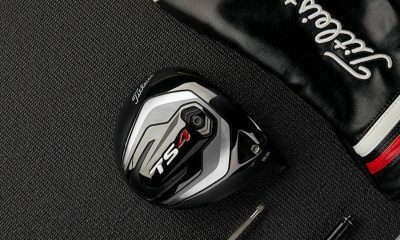 From 2002–2003 (TaylorMade introduced the adjustable-weight R7 driver on Tour in 2004), there was a median distance increase of 2.4 percent (6.6 yards). In just 4 short years (2000–2003), the median distance on the PGA Tour increased by a whopping 4.9 percent (13.4 yards). Of course, there was a necessary and actionable reaction to this by the USGA when it limited the driver to 460 cubic centimeters following the 2003 season and finalized the COR limit. 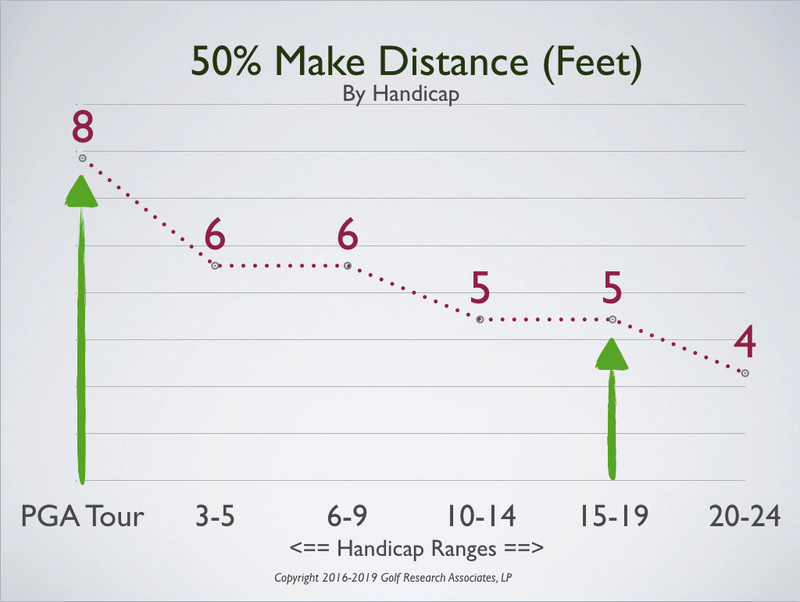 Since 2003, we have only seen a change in median distance of 1.2 percent, or 3.5 yards. I believe this gain in distance can be explained by better fitting and the presence of launch monitors like TrackMan on tour. 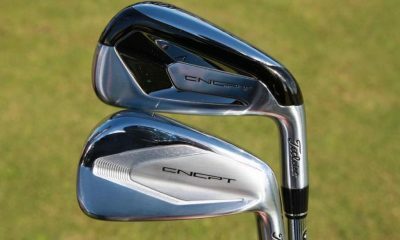 There has also been more adjustability added to drivers and several upgrades in shaft technology. What I don’t understand when looking at this data is why are we just now saying the golf ball is going too far. It seems to me we are 15 years too late in noticing. When I play, the ball doesn’t go both far enough & straight enough! I’d also like to see a chip which incorporates my watch to find the ball when it goes anywhere but the fairway, which it tends to do! Let the Ball fly.. I like distance and to see it fly far is exciting.. The course design should be made narrower deeper ruff more trees and sandtraps and more water . Make it more of a gambler course.I don’t like these -21 under scores .What ever happened to these under -10 course score total for the event? That’s why most people love the OPEN (US,British) because they are low scoring and a test of the skill of a player to play the course where does the risk worth the reward ! The tougher the better with some RISK/REWARD when ever available . I like to see the distance but also I want to see accuracy with the yardage. The most interesting part of this to me is the distance gains prior to the introduction of the Pro V1. Looking at the chart it appears there is about a 20 yard gain from 93-00. There is another increase after the introduction of the Pro V1. To me this speaks to the complexity of the distance discussion. It can’t be reduced to only the ball. There are a lot of other factors involved. Think about how much more advanced we are in all the different areas like driver tech, shafts, athletics and power generation, biomechanics, launch conditions, etc. 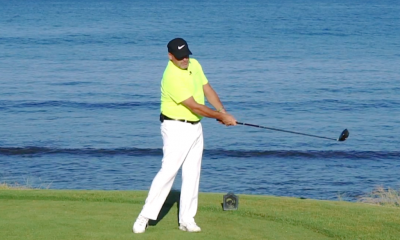 Sure rolling the ball back could reduce median distance, but it’s far from the only factor. They have also talked about lowering the speeds in auto racing (granted, for primarily safety reasons) but how many fans would the sport lose, say, for the Indy 500, if the top speeds were limited to 180 or 200. 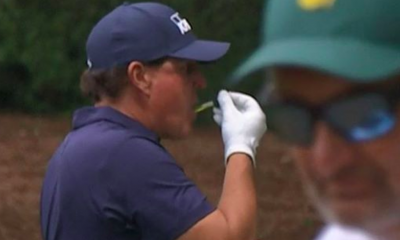 People go to golf tournaments to watch PGA players hit the snot out of a golf ball. Knowing that DJ, Jason, or Rickie is somehow going to be “limited” off the tee or from the fairway takes a boatload of interest out of the game. 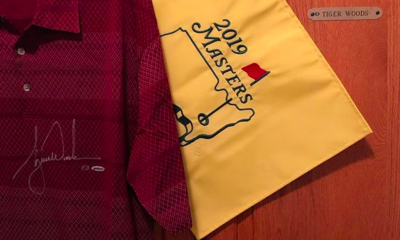 The tour players are better athletes now, the equipment is better, the ball is better, the courses are longer, firmer, and harder faster greens. Swings technique is better, availability to data and what ACTUALLY makes the ball go further or roll longer is easier to get and more readily available. It all adds up to hitting the ball further. Again, why is this a bad thing? To say they used to be hitting 3-4 irons and now wedges? Thats not a diff of 33 yards, its a diff of 100 yards. 33 yards is a 1-2 clubs max. Not to mention todays “5” iron is actually a 3 or 4 iron loft of old… its like the 30 handicapper saying he hit is 8iron 180 yards, well maybe? But more then likely its actually a juiced up 5-6 iron… but who cares? Ain’t no tour pro hitting a wedge in from 215 yards when he used to have to use a 3 wood from 250 because of a ball. 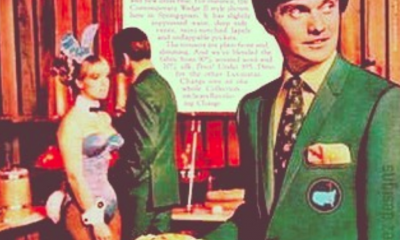 I sure hope the people complaining about the ball going to far and the game becoming too easy, are the same people still riding a horse to work, and going to the haberdashery to get a new button for their will jacket they made themselves… They better not be using Amazon, or Nordstrom.com to buy their suits…. You all better not be using any form of technology to make things easier and better. Get over it, it doesn’t matter, the game is hard enough. Every sport progresses, the athletes become stronger, faster, smarter. Its called evolution, and with out it, the game dies. It seems like many people are opposed to the ball going too far because it benefits the longer hitters. But restricting the ball isn’t going to take that advantage away. 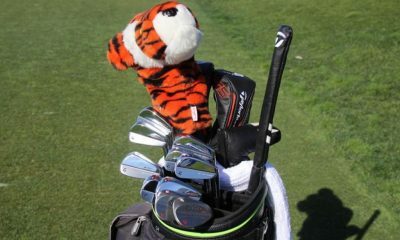 If anything, they will still be hitting mid-long irons where shorter players will be hitting hybrids or woods. To me, the underlying problem for many people calling for ball rollbacks is that they don’t see length as equivalent skill-wise to a great short game or solid putting. I’m not sure why though because the tolerances for mis-hits and clubface to club-path are smaller when you are swinging at higher speeds. There is inherently skill involved to hit it long AND straight, just as there is skill involved in bunker shots or putting. this is spot on. 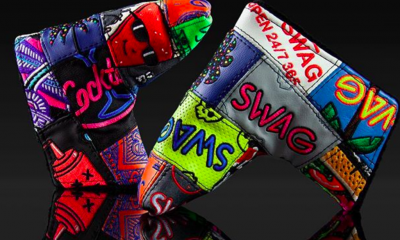 should Rickie or Jordan be penalized bc they putt too well? Distance is a skill. Let the ones who can hit it far keep it that way. And the funny thing is, DJs skill would be even more celebrated bc hed be hitting 7 irons while other guys are hitting 5 woods. 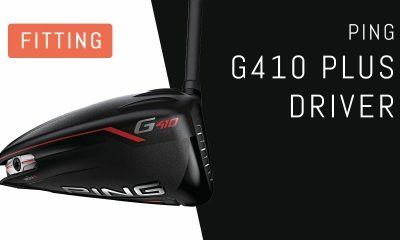 I’m not really concerned about the distance the pros are hitting, but if you want to make a change, instead of changing/restricting the ball, why not just tell the pros they can’t use their drivers? Cigarettes & Alcohol have killed people for a long time, but they still exist. $ is the answer you are looking for, plain & simple. I think youcanlook at the masters. What clubs are used to the green? 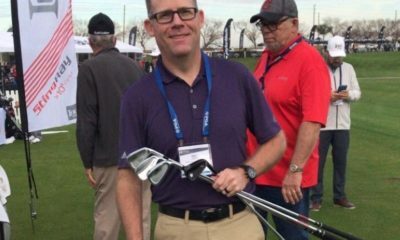 Are the using 4 irons 40 years ago and now 8 irons? Can you make a shoe stink? …and you have to remember, that driving distance is in this case carry and roll. Latter is strongly correlated to the course conditions and setup – fast and firm fairways. The recorded carry distances show no increase in distance since more than a decade. It’s not that the ball goes too far – it goes too straight. 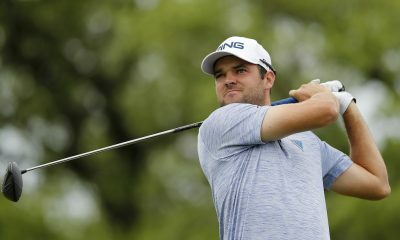 Because they have been designed so well aerodynamically, they tend to not bend as much as the old Balata and wound type balls – which is what Johnny Miller has been saying, as opposed to just calling out the problem of the ball flying too far. 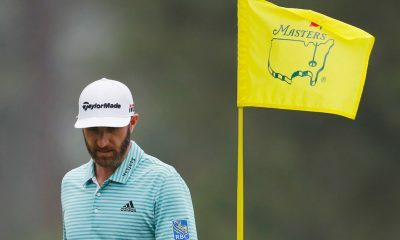 With forgiving heads and forgiving balls – the modern players are getting away with a lot of mis-hits that the old ball would not do as well, that you had to be a much better ball striker back then. 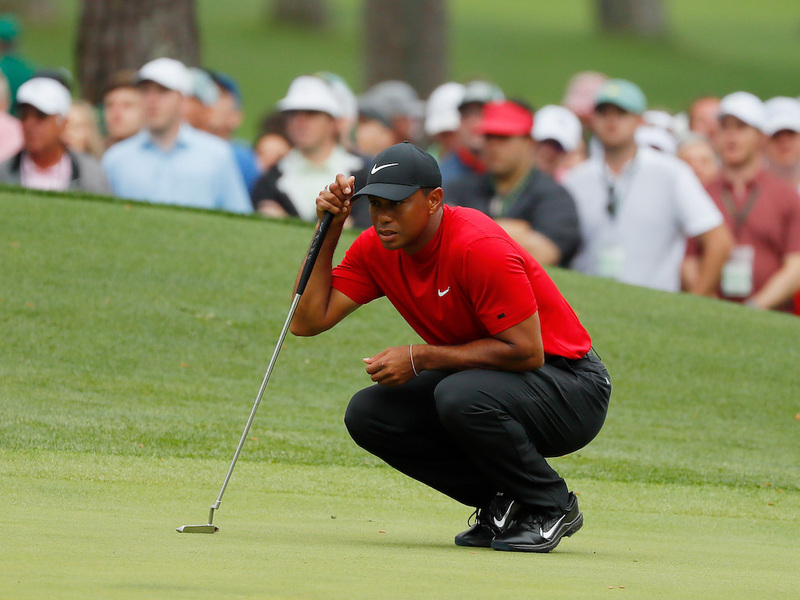 But this current ball technology is part and parcel of all this tech of heads, shafts and balls, and to talk about rolling it back now, after Eldrick made all his money and success during his career from 2000 on – with the very balls that he wants repealed – is a joke. I agree 100%, how much straighter the new equipment goes is every bit as important. This is rarely spoken about. Courses have been lengthened proportionately with the new equipment, but have they been tightened up proportionately? I would imagine with measuring technology we could get a fairly good number on how much straighter the ball flies now. And let’s say we find it’s around 10% straighter (to pick a number) then bring in tour fairways by a similar amount. Hunter, you stated that there has never been a ball roll-back, but you are mistaken. 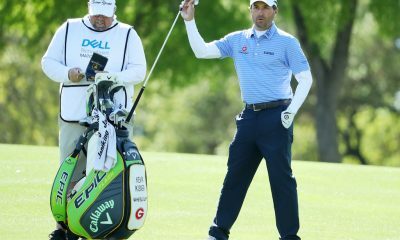 It might be time to look at a reduction in the weight of the ball again, as today’s ball and club technology afford much more control in the wind. If the USGA could roll back the ball in 1931, they can certainly do it again soon to keep course lengths for elite golfers from approaching 8,000 yards. Thanks Greg I was unaware of this for sure so I appreciate you pointing it out. However it seems as though it only lasted a year so I would still contend the ball won out. Also what are your hindrances to 8,000 yard courses for pros? Also I have seen plenty of “shorter” courses hold the test of the pros. See Oakmont, Merion, Riviera, Shinnecock, etc. All of those cut lines in US Opens were significantly over par. Good work Hunter. The stats show that the limits on balls and clubs have worked since the early 2000s, so it’s strange to be having this debate now. An unspectacular 3.5 paces forward over the last 15 years-not what the industry would want the golfing public to know maybe, but there it is. So if the rules are working why change? I think it goes too far, and nothing can be done to stop it. If in 15 years the ball goes 15 yards further, that will continue to make the game less exciting to watch. Driver, wedge into every hole is just boring. You can make great short par 4s like everyone wants to see and just make them absolutely brutal. Risk/Reward holes get the most attention out of any course or PGA Tour venue. Example, #10 at Riviera. Arguably the greatest short par 4 on tour, and everyone watches it. If you roll back the ball, you are hurting the game of golf. Juniors will not be as involved, and everyone wants and chases the 300+ yard drives. It’s our game today and what it will continue to be. I think we need 10 more articles on ball go too far! !